Two quick things to draw your attention to, then some remarks on the role of vision in training. 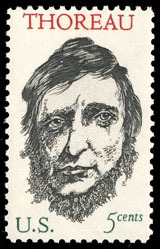 1) A quote from Thoreau: "I learned this, at least, by my experiment: that if one advances confidently in the direction of his dreams, and endeavors to live the life which he has imagined, he will meet with a success unexpected in common hours. He will put some things behind, will pass an invisible boundary; new, universal, and more liberal laws will begin to establish themselves around and within him; or the old laws be expanded, and interpreted in his favor in a more liberal sense, and he will live with the license of a higher order of beings. In proportion as he simplifies his life, the laws of the universe will appear less complex, and solitude will not be solitude, nor poverty poverty, nor weakness weakness. "Now put the foundations under them." 2) A really neat 1979 short film on Arthur Lydiard and his runners. The quote and the film are related. The quote, of course, speaks to the fact that in order to be successful, you have to have a vision. How can you do something well if you don't even know what you want to do? Vision has two moments. The first and most essential aspect of vision is imagination. So much of life involves chasing a mental image. There is a cliche which speaks to this: "Whatever you can dream, you can achieve." What the cliche doesn't say, however, is that dreaming is not so easy. In order to achieve, we have to be able to dream clearly, else we end up chasing vaguely defined ghosts like "success" or "happiness" or "security." The successful imagination is always concrete. The second moment of vision is that it is decisive. A vision says "Yes" to some things, and it says "No" to others. As Thoreau explains, dreams are directive. The field of life itself is large and muddled but the present that we live always narrows the field down to something singular. Vision is an attempt to choose that singularity intelligently. When Thoreau urges us to choose simplicity, it's because he knows that in the end our lives will have been simplified for us, through the sieve of the present. Better that we embrace this simplicity. The Lydiard film nicely expresses his vision as a coach. You see training as he saw it, in three parts: 1) It is an endurance activity, which requires a lot of running. 2) It is a sport that requires a dynamic and limber stride. 3) It also takes a certain type of temperament that combines two qualities. His athletes have the confidence to choose winning as their goal. And they also have the spirit to choose to see training as something fun and even joyful. Keeping focus on these three things can simplify and solve a lot of problems--the laws of running will appear much less complex, and you will have a shot of living among that "higher order of being," the well trained, tireless runner. "It also takes a certain type of temperament that combines two qualities. His athletes have the confidence to choose winning as their goal. And they also have the spirit to choose to see training as something fun and even joyful." Amen to that, the latter in particular. Lots of people like the idea of something - a certain job, being a 3:15 marathoner, a VP title. They have the vision but dread the process of getting to the vision - building the foundation to that castle in the sky. Those that enjoy the process and the growth that comes from the process are generally better at that "something" once they get there. In life, work and running. Good point. Connecting this with the post, I would say that, insofar as it is practical, we should choose what we love in each of our successive "presents." Periodically, we might reasses the dream/goal itself in light of those experiences/decisions.